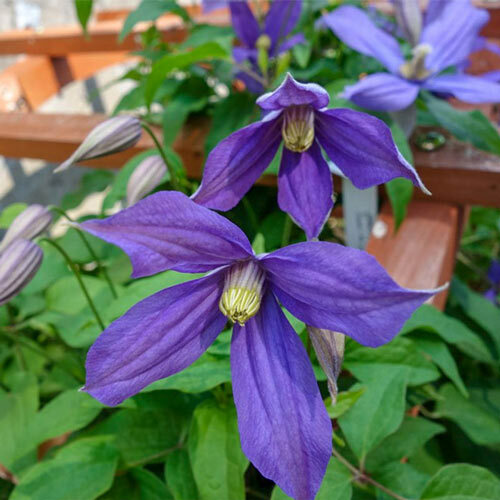 Chloe Clematis is in the GREEN pruning category. It blooms on old and new wood, so prune as often or as fully as you like to promote reblooming. See our Stoplight Pruning Guide for more information. 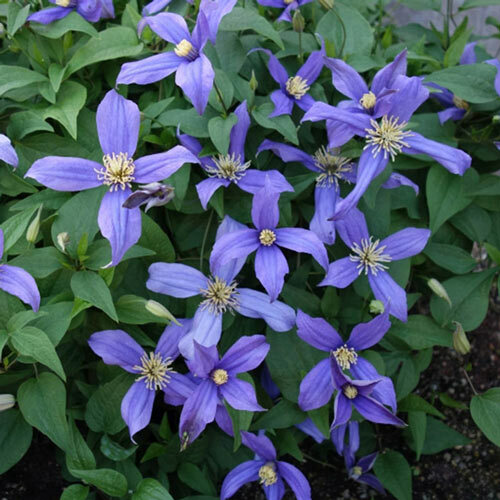 Planting InstructionsProvide shade for their roots by over planting with annuals or shallow rooted perennials, set a large flat paving stone over root zone, or mulching. Winter CareMulch thinkly for winter. Flower Form3-4" unique narrow wavy sepals with prominent ridged bars ending in a point. Soil RequirementAverage, well drained to moist soils. Watering RequirementWater regulraly keeping lower leaves of plant dry.Keep roots cool, shaded and uniformly moist.